Do you feel like there are issues that are holding you back in your life? Perhaps you feel overwhelmed by emotions that seem too complex to deal with? Or you’ve lived with a problem for many years and finally feel ready to tackle it? Belinda Dimmock is a Surrey-based, professional hypnotherapist and counsellor, who uses a range of techniques, including hypnotherapy, psychotherapeutic counselling and EFT/Emotrace to help with a variety of issues, including grief, bereavement, panic attacks, anxiety, stress, self-esteem, relationship difficulties and weight management issues. Working with individuals in and around Ashtead, she will offer a safe, comfortable and welcoming environment where you can explore the thoughts and feelings that may be causing you difficulties, so you can understand yourself better and find solutions to move forwards in a more positive way. It can be easier to create long-lasting and positive changes when you have the right support. Belinda uses a solution-focused and collaborative approach with her clients, looking at what the desired outcomes are and what you want to achieve, rather than just examining the problems at hand that may have made you seek help. This approach looks at the present and future, so you can move towards your desired changes in small increments or in large steps. This is a pragmatic approach to change and is sometimes called ‘Brief Therapy’ because results might be achieved in a quicker time frame. 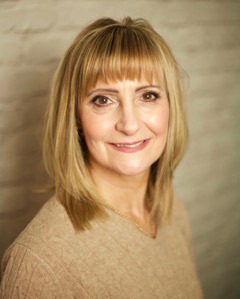 Belinda is a fully-qualified hypnotherapist and counsellor with Diplomas in Counselling Skills, Hypnotherapy and Psychotherapeutic Counselling, as well as an Advanced Diploma in Psychotherapeutic Counselling; Certificate of Awareness in Bereavement Care; Certificate in Basic Counselling Skills; and Certificate to teach Hatha Yoga and Meditation. For an informal and no-obligation chat or to book an initial consultation, please call Belinda on 020 8873 2843 or 07973 410 375. Are you struggling to lose weight, or do you have other eating issues you wish to address? Perhaps you suffer from panic attacks and you are not sure what is triggering them? Or may be you are looking for help to break unwanted habits like nail biting or have a fear of driving on motorways, or crossing bridges. The hypnotherapy Belinda practises can help with a wide range of issues, including weight loss, anxiety, stress, fears and phobias, unwanted habits, motivation and self-esteem. Hypnotherapy is an effective way to help with so many concerns. The sessions are gentle and relaxing and if you have the will and motivation to succeed, it results in long-lasting changes. The hypnotic state is something we may experience every day, when we daydream, wake up or drift off to sleep; it is a very natural experience of focus. During this time, we can tap into the subconscious and be more open to making positive changes within ourselves. You will be physically alert but remain mentally calm, yet always in control. When we lose someone that we care deeply about, it is normal to feel a wide range of complex emotions in its aftermath and our grief counselling can help allow you to process these emotions, so you can move forwards with acceptance and a greater sense of mental peace. As well as any bereavement issue, you may be going through, or have perhaps under gone a major life change, such as a divorce or a relationship break-up, which can also prompt feelings of grief. She can help you to move through any situation which will enable you to look and evolve forwards in a more positive way with renewed strength and vigour. For hypnotherapy, counselling and grief counselling consultations near Ashtead, please get in touch! Belinda is based in Epsom and Crawley. If you are interested in having a chat or in booking an initial consultation, Belinda can be reached on 020 8873 2843 or 07973 410 375. Alternatively, you can email her at belinda@breathofchange.org.uk or fill out an online enquiry form . Either way she will respond to your enquiry in the appropriate way.